The FHT was pleased to attend the launch of Wessex Cancer Trust’s Cosham Cancer Support Centre and to meet the inspiring team of therapists who work there. The centre, located in Cosham High Street, Portsmouth, offers free, non-clinical support to anyone affected by a diagnosis of cancer, including counselling, complementary therapies, befrienders, financial assistance, and information. FHT members Julie Walsh, Marilyn Ferguson and Maria Groves offer complementary therapy at the centre. Available therapies include aromatherapy, reflexology, Indian head massage and body massage. 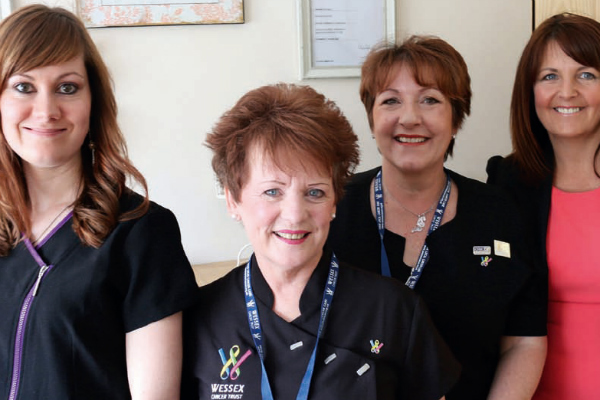 Wessex Cancer Trust already has five cancer support centres within the Wessex region and aims to open centres in Chandler’s Ford, Bournemouth and Salisbury later this year. Posted on 3 November, 2015 by Federation of Holistic Therapists (FHT). This entry was posted in complementary, news and tagged news. Bookmark the permalink.